As much as I try to telework to minimize our firm’s environmental footprint, there are times when I just have to travel to meet client needs. So I fly. A lot. I can, like most frequent flyers, recite the safety briefing from memory. On a recent trip, it occurred to me there are gems of wisdom in that briefing that we can apply to the world of corporate responsibility, if we look at them creatively. 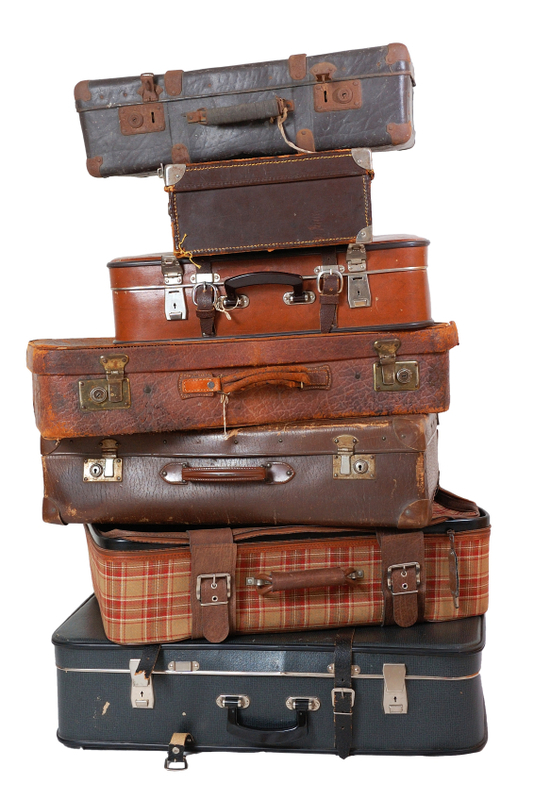 “Don’t Leave Your Baggage Unattended” – You often hear this announcement in the holding room, before boarding. Most companies, like most travelers, have baggage. When it comes to corporate sustainability and responsibility, the kind of baggage you need to worry about is the kind that comes most frequently with extremes of organizational change, ranging from the slow, organic growth of companies that span decades or even centuries, to rapid growth through new market creation and mergers and acquisitions. These extremes of development can lead to entrenched systems, legacy issues, and persistent misperceptions that hinder forward progress. For example, a fast-growing small or medium-sized enterprise might be weighed down by internal financial and human resource management systems that it has outgrown. A company newly formed out of a merger or acquisition might carry a burden of outstanding environmental liability associated with past operations. An organization that has been in operation for decades may be encumbered by practices that have become habitual instead of adaptive and responsive to evolving needs and opportunities. Organizational baggage like this, when left unattended, undermines morale, stifles innovation, erodes productivity and value, and creates long-term liability. When in direct conflict with stated corporate values and policy, unattended baggage can call into question the credibility of the organization, and thus impact reputation. In turn, it can be more difficult to attract talent and investment and earn social and regulatory licence. Sustainability is often described as a journey. If your organization is planning, undertaking, or has just come through a major growth phase, whether organic or through a merger or acquisition, or if it’s been a long time since the organization has done any serious introspection, it’s time to take a good look at what you’re carrying with you. Here are some questions to consider, depending on your situation; this isn’t an exhaustive list, but it will help guide the initial conversation. Are our current management systems still appropriate given the growth we have experienced? Are we spending more time managing administrative and data management tasks than we used to? Do we still have enough time for strategic activities? Are our current management systems giving us the information we need to manage risks and leverage opportunities? Are our current management systems giving us the information we need to communicate effectively to our key stakeholders? What are the environmental, social, or other liabilities that we have inherited through our mergers and acquisitions? Have we updated our corporate responsibility strategy to address these liabilities? Have we evaluated these liabilities against our risk management criteria and adjusted our priorities accordingly? Do we have a plan to make sure our corporate sustainability performance measures and targets take into account the full range of our newly acquired business activities? Are our communication strategy and crisis communication measures adequate to respond to stakeholder enquiries about legacy liabilities? Are we taking full advantage of the new strengths we acquired in our merger or acquisition? Do we have new stakeholders that we didn’t have before as a result of our growth? How have we integrated the needs and expectations of these new stakeholders into our corporate responsibility strategy? Are we aware of how the needs of our key stakeholders, including employees, customers, investors, and others, have changed over time, and have we updated our practices to meet those needs? Do our existing practices stifle or encourage innovation? Do we have barriers to adopting new and emerging technologies? Exploring these and other probing questions will help to unpack the systemic and legacy issues that arise out of extreme organizational development, and ensure you are well prepared for the ongoing sustainability journey. There are benefits to traveling light: mobility, agility, flexibility, security, economy, efficiency. These benefits can accrue to organizations that are mindful about their baggage. In Tuesday’s National Hockey League match-up between the Boston Bruins and the Montreal Canadiens, Habs forward Max Pacioretty suffered a serious concussion and a broken vertebra in his neck after a devastating hit by Bruins defenceman Zdeno Chara. Chara received a major penalty for interference and a game misconduct for the hit, but, to the surprise of many, he was not suspended. Now, despite being Canadian, I’m not a diehard hockey fan. I watch Hockey Night in Canada sometimes, I’ll watch the playoffs, at least while there’s still a Canadian team in the running, and I even go to see a game once in a while. But this hit has my attention, not because it’s so different from those that have happened before, but because of its link to – you guessed it – corporate responsibility. What, you might wonder, does a check in hockey have to do with corporate responsibility? Well, a lot, it turns out, if you’re Air Canada.